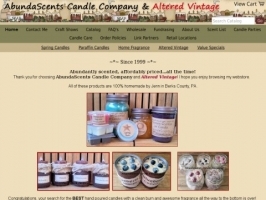 Wonderfully scented hand poured candles, handcrafted soaps and bath and body products to fill your life with fragrance! Offering amazing wholesale pricing and fundraising opportunities. Secure online ordering.